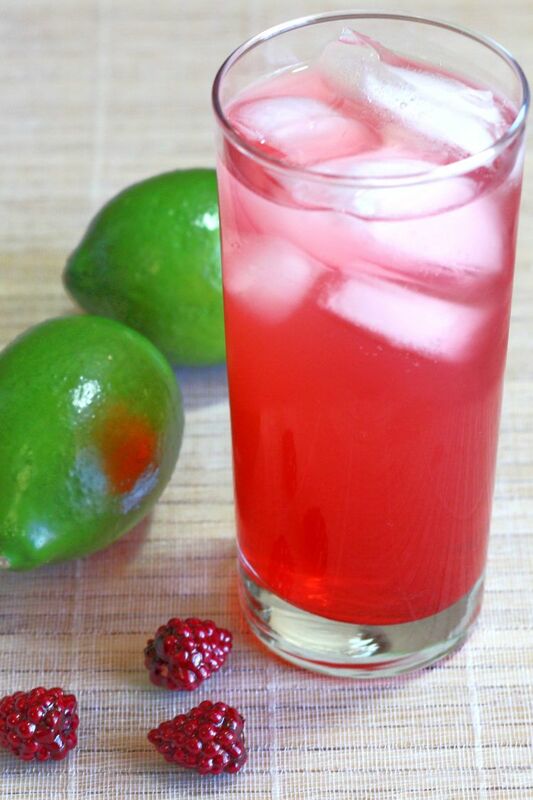 It’s possible you’ve never heard of the classic Raspberry-Lime Rickey. But this is one cocktail you want to get to know. 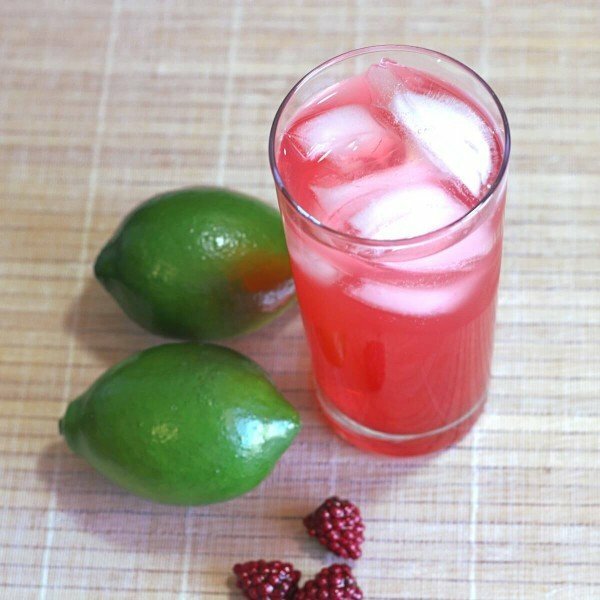 The Raspberry-Lime Rickey is one of those rare drinks that’s excellent with or without alcohol. The recipe is exactly the same either way, except of course you leave out the vodka if you’re going for a non-alcoholic treat. It’s also a great recipe for a pre-mixer, and I’ve included the measurements for making it as either a single drink or a pitcher for four. Raspberry is a powerful flavor – nothing can compete with it, so you want to choose mild, subtle dishes to eat with it. For dessert, plain cheesecake, angel food cake and any light and mild pastries are the obvious choices. Chocolate also works just fine. First, you need to make the raspberry syrup. Put the raspberries in a bowl. Sprinkle the sugar sprinkled over them, then pour in the lime juice, and mash the whole mixture with the back of a wooden spoon. Let the mixture sit and marinate for about 10 minutes. Strain it through a sieve to remove seeds. Fill a glass with ice and pour in the syrup. Add the sparkling water and stir. Add the vodka and stir. Top it off with sparkling water. Garnish can include raspberries and lime slices or wedges. You may need to re-stir the pitcher just before serving if it’s been sitting for a little while. Can you use a pre-made raspberry syrup, like Torani (linked above), in this drink? Absolutely! The fresh-made raspberry syrup definitely adds some life to this drink, but many people make the drink with store-bought syrup. Just don’t abandon the fresh-squeezed lime – it makes the drink vibrant and fresh. Club soda or soda water are best if you don’t have mineral water on hand.